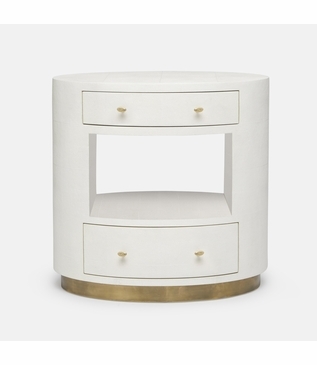 An elegant and functional piece that will enhance any space. 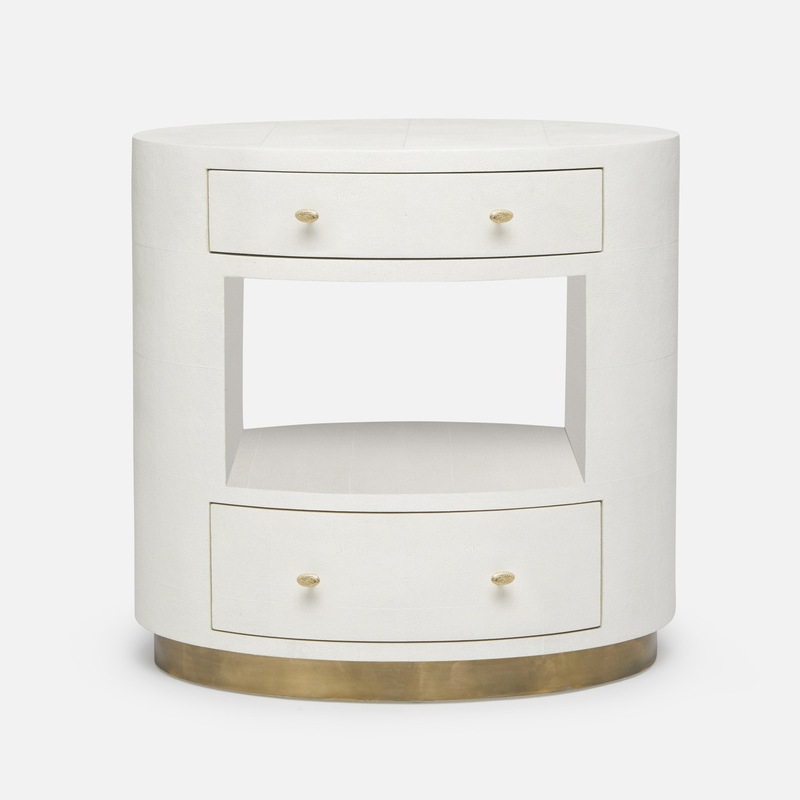 Fully covered in a luxe faux shagreen on an antiqued brass base, this oval-shaped side table is every bit as glamourous as it is practical. 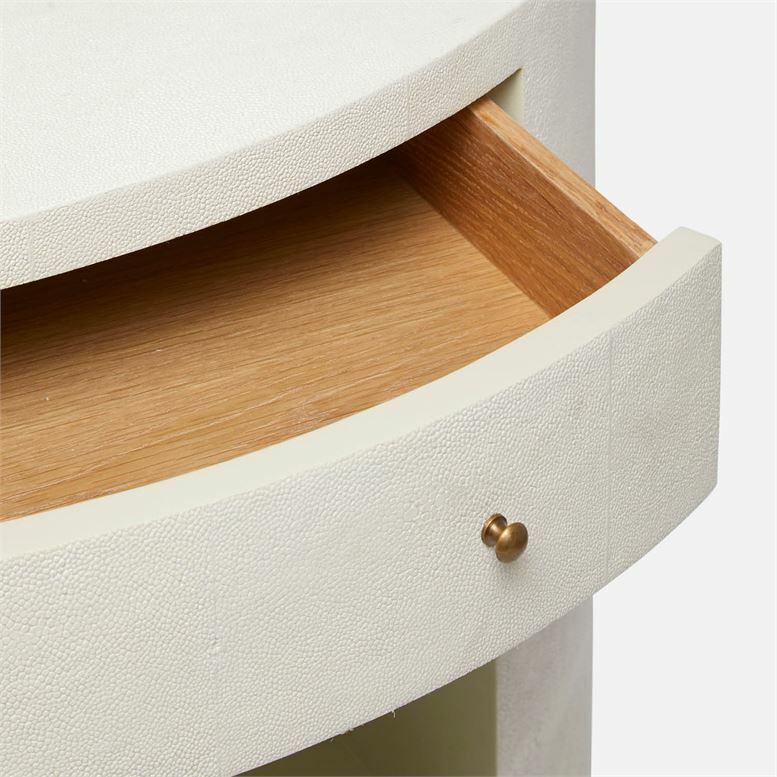 Two drawers with brass hardware and an open-back middle shelf serve to fulfill a plethora of storage needs. Finished with bottom mount soft glides on each drawer. Size: H: 30" • L: 30" • W: 18"